Home » Posts tagged "Alan Grayson"
The U.S. Congress has a Team Russia? 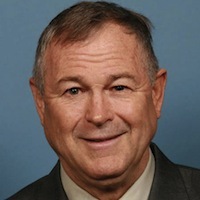 Representative Dana Rohrabacher, a California Republican, is speaking up for Moscow with pride. Wow, there is so much to unpack in that article. By last year, Mr. Rohrabacher was accompanying the action star Steven Seagal to Russia in search of a broader Islamist plot behind the Boston Marathon bombing. The actor and the congressman had often discussed “thwarting radical Islamic terrorism,” he explained.